Spring is finally here, and it’s one of the best times to find free things to do in Findlay. We’re all yearning to get outside and enjoy the beauty of the flowers that we know will soon be here. If you’re looking for flowers, then the Hancock Parks District is your best bet. And thankfully, you will find a lot of programs based around the spring. This free hike in April promises to introduce you to the species that come alive during the spring. So not only will you get a bit of exercise in, but you will also learn more about the wonders of the season. If this sounds like fun to you, meet at the Edgar Avenue entrance to the Blue Rock Nature Preserve. Did you know that Findlay has a thriving arts scene? The ArtWalk in May is presented by The Arts Partnership and gives you a free look at all of the talented musicians and artists that are in our community.  You will be able to find art displays and performances throughout Downtown Findlay, and there will be activities for the entire family to enjoy. In addition, it’s a great time to get a deal. Many local businesses will have can’t-miss specials only available during the ArtWalk. Is the unpredictable weather getting you down? Then it’s time to stroll into one of our museums for family fun. Mazza Museum is your best bet if you’re looking for a free place for your entire family to enjoy. This museum dedicated to children’s book illustrations provides a dose of nostalgia for the adults and an endless amount of books to read for the little ones. And you can discover the processes illustrators go through to create the images that are throughout those books. Still looking for something fun free things to do this spring? Keep an eye on our events calendar or check out the many things to see and do in Hancock County.